Barry thinks there is a conspiracy going on here…a cottage cheese conspiracy. See, his wife LOVES cottage cheese. Oh, by the way…his wife is me, in case you didn’t know. And yes, I love cottage cheese. I’m known to put it into anything and everything. You’ll find it in shakes, smoothies, ice cream, brownies, and now even my omelets. Booya. Although, now Barry often asks before he takes a bite, “Is there cottage cheese in this?” I always give him the dumb look. I only tell him later. I think he secretly likes cottage cheese and won’t admit it. 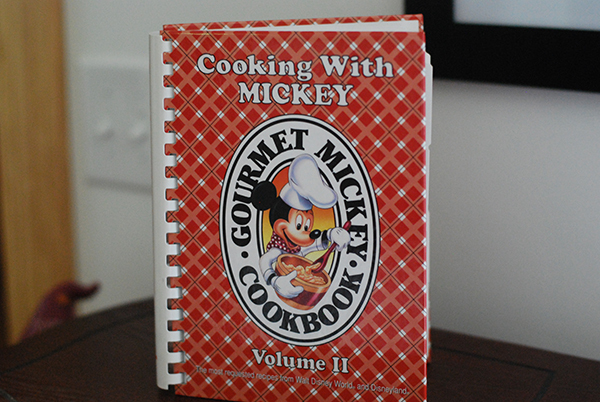 This week in Cooking Through Stacy’s Stash we’re tackling a fun one – my cookbook from Disney World! Woot, woot! Cooking With Mickey (Pssst! Big Brother! That’s my affiliate link!) was a gift from Barry’s Aunt Judy and Mamaw Sue…they know I adore my cookbooks, and this one is pretty awesome. It’s got Disney recipes from all over the park. I love looking through it, even though there are no pictures. 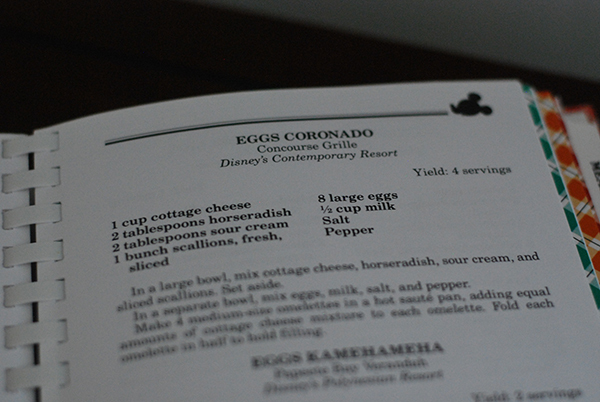 This particular recipe was called Egg Coronado, which I lovingly renamed Cottage Cheese Omelet – Coronado sounded too fancy to me. 😉 This recipe is from the Concourse Grill at Disney’s Contemporary Resort. I never ate there when we went – we stayed at the All Star instead and didn’t do much hotel hopping. I scaled this recipe back to one serving – because I like one serving recipes…and omelets are easier to make one at a time, in my humble opinion. I also cut out the horseradish because it makes me want to yak. Barry likes it…he likes horseradish but not cottage cheese. Does anyone else see something weird about that? I use my little 6 inch pan when I make omelets. 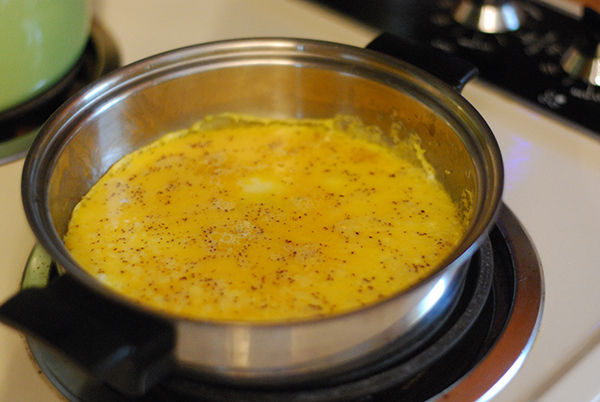 I get it nice and buttery and then fry away…in case you have never made omelets, one of my first blog posts ever was about how to make an omelet. I won’t go into that here – because we have a link up to get to! Just make an omelet however you know how. These were very good – I served them on a Sunday morning, because we like a hearty Sunday breakfast before we go to church – helps me concentrate. It’s hard to listen to a sermon when my belly is growling and disrupting everybody. 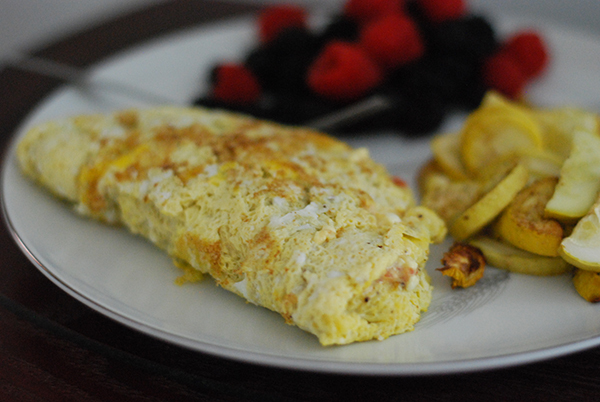 I like the beauty and simplicity of omelets, don’t you? I served these with a side of my Quick Almond Pan Bread and some berries. Yummorama – that’s my new word. Let’s start a revolution. Combine cottage cheese, salsa, and nutritional yeast/Parmesan. Set aside. Whisk eggs with water, salt and pepper. Cook as for an omelet. 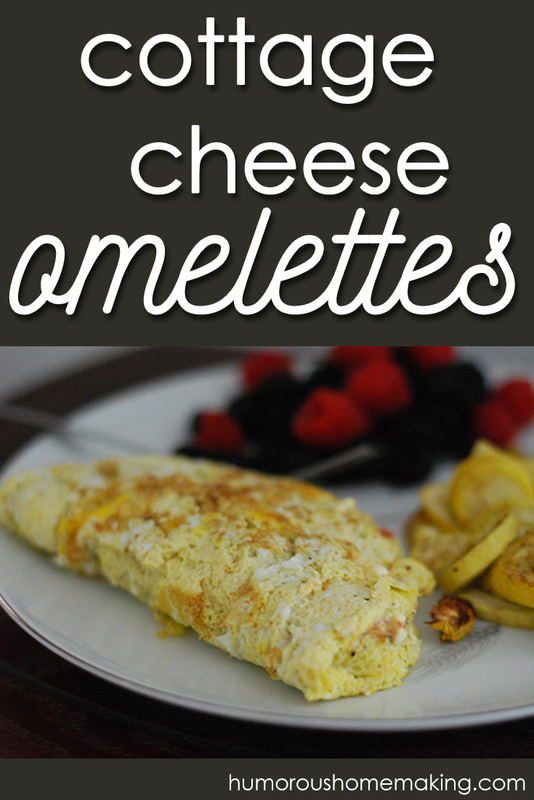 Use cottage cheese mixture as a filling for your omelet. Fold over and serve. New to THM(still figuring the ins andnouts) praise the Lord for it though!! Now if you add your bred and berries is it still an s meal? If it’s an S approved bread, then yes. 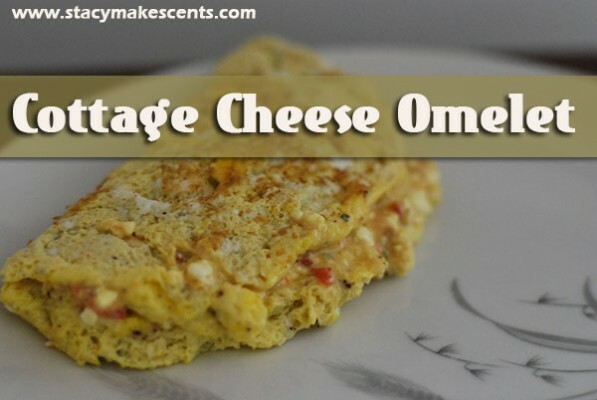 I love putting cheese in omelets also and I should use cottage cheese more often since it is healthier than some fo the fatty cheeses, I have been using. This will be featured at My Meatless Mondays, this week. Thanks for linking up. Thank you!!! 🙂 I’m honored. HA! I knew it was…I’m going to tell Barry you said so. I love the simplicity of an omelette too 🙂 And yes, liking horseradish and not cottage cheese is weird. Great recipe Stacy! I try to put salsa on everything. It’s a goal of mine. I agree, it is easier cooking omelettes one at a time! Your Cottage Cheese Omelette looks delicious & it’s so wholesome as well. I like the addition of the salsa. I’m going to try this next time I make an omelet! It’s got a lot of good recipes in it! Cottage cheese in everything! Woot! Interesting idea with the cottage cheese! I guess it’s not that crazy when you think about how blintzes are made the same way! I have that same cookbook but I’ve never cooked anything out of it. This recipe looks good! I’m glad I thought of it…or, I’m glad Mickey did. I know! but something good came out of it- I discovered that organic eggs were $1 cheaper at a different store- score! You can put it into anything! It’s yummy…think of it as Parmesan cheese. It’s good in soup, on top of salad…on top of spaghetti. YUM! Barry Ray would be proud. Stacy, I LOVE the idea of using cottage cheese in an omelet. I have never done that before and it seems like such a great way to sneak even more protein in 🙂 I just made oatmeal pancakes with cottage cheese and I couldn’t even believe how delicious they were. Can’t wait to try this out! I use cottage cheese in a lot of things too 🙂 It’s a great way to reduce the fat in recipes. Cottage Cheese!!!! Yum!!!! I can’t wait to try this. Thanks Stacy. You made me smile and that was not an easy job today! Finally joined in on the link up! I’ll try to remember it on Tuesdays! 🙂 Thanks for letting me know & inviting me Stacy! Thanks for the link-up! No recipe today, but you do get the wonderful opportunity to see my feet in a video. How’s that for enticing?? Shared my post on “Amping up my Exercise”. I don’t know why I’ve never thought to put cottage cheese in an omelet. Yum! Awesome idea. It’s good on everything – seriously. .I wanted to put it on my eggs. Yay! I am so glad you liked the chocolate syrup. 🙂 And for giving us the suggestion of putting it in our almond milk. It’s made my mom and I both very happy! I’m not a huge fan of cottage cheese but that does look yummy! Sorry! I agree with your husband. I rarely agree with husbands on food; but give me some horseradish to slather on my eggs, hold the cottage cheese! Thanks! Hey – don’t knock it. 🙂 Even he likes this one…he likes it when he doesn’t eat it plain.